A Senate committee voted unanimously Tuesday to advance a bill to repeal the new and controversial $32 fee vehicle owners have to pay this year when they renew their registration. But Gov. Doug Ducey, who signed the fee into law last year, has already signalled that he’s not willing to repeal it. 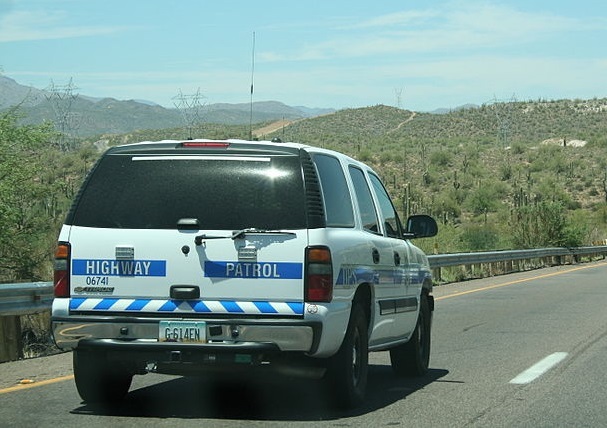 Senate Bill 1001, introduced by Sen. Michele Ugenti-Rita, R-Scottsdale, would repeal a law passed last year that created a highway safety fee to fund the Arizona Department of Public Safety’s Highway Patrol operations. The law allows the director of the Arizona Department of Transportation to collect the fee and to set the amount. The fee, which opponents in the Senate Appropriations Committee and members of the public called a tax, was approved last year by a simple majority of legislators, not the two-thirds required for new taxes. Lawmakers were told last year the fee would be about $18, but in late November ADOT announced it would be $32. Critics said it hurts the poor and lacks accountability. Several members of the public Tuesday praised Ugenti-Rita and spoke in support of the bill, while representatives of groups advocating for cities, towns and counties opposed it. “The Legislature’s given up its kingdom by giving away their power and authority to raise taxes to a non-elected bureaucrat that has no worries about a whole bunch of the voting public is upset with him,” said Dan Huskisson, vice president of the Arizona Automobile Hobbyist Council. Nohl Rosend of Wickenburg also spoke in support of Ugenti-Rita’s bill. “This affects me. My registration goes up 50 percent because of the $32 tax. I’m not going to call it a fee. It’s an illegal tax,” he said. Ugenti-Rita said that in passing this fee last year, the legislative process was manipulated and weakened. “Repealing this does not mean I am opposed to funding our priorities, but we have to do it the right way,” she said. The new fee was welcomed last year as a permanent revenue source for the main duties of DPS. For more than 10 years, those operations were funded through the Arizona Highway User Revenue Fund, the gas-tax account that supports roadway maintenance and construction. This took projected funds away from roadway construction and repair projects in local jurisdictions, especially rural areas. “Since 2001, $1.1 billion has been swept from HURF to fund city, town, county and state highway road projects,” said Nick Ponder, legislative director for the League of Arizona Cities and Towns, an organization that represents 91 Arizona municipalities. The group opposes Ugenti-Rita’s bill because if the fee repealed, it’s concerned that HURF will again be swept to fund DPS, said Ponder. Michael Madden, legislative liaison for the County Supervisors Association of Arizona, said his group has the same worry. “There is a concern that these monies will be shifted away from us in the future without a dedicated funding source,” he said. Repealing the fee means the state would lose $107 million in revenue for its general fund in the next fiscal year, according a Senate research document. Ponder said the precedent on budget talks isn’t encouraging for HURF. “Our experience in the budgeting process over the last 18 years, and further back, has been that through the budgeting process HURF money is taken, swept from cities, towns, counties and the state highway fund to fund DPS, and that’s on the backs of those rural roads projects,” he said. The nine-member Senate Appropriations Committee has six Republicans and three Democrats. Sen. Lisa Otondo, D-Yuma, and Sen. Sean Bowie, D-Chandler, who last year approved the measure that created the fee, said a fix to the high-dollar amount and funding DPS and road repairs are needed. “What we need, in the interest of the state, is to properly fund HURF,” Otondo said. Ugenti-Rita said she’s encouraged by the bipartisan support of her bill and by similar proposals that have been introduced in the Arizona House of Representatives. Rep. Noel Campbell, R-Prescott, who last session introduced the bill that established the highway safety fee, is now proposing to scale back the law. Campbell introduced House Bill 2320, which caps the fee at $18 and eliminates the existing requirement that the fee fund 110 percent of the Highway Patrol Fund. Another Campbell bill, House Bill 2319, would repeal a law requiring ADOT to transfer HURF monies to DPS for Highway Patrol operations. Rep. Jay Lawrence, R-Scottsdale, introduced a bill with the same language as Ugenti-Rita’s. Democrats have also proposed changes to the fee. Rep. Amish Shah, D-Phoenix, introduced House Bill 2504, which would keep the fee in place, but calculate it based on a vehicle’s value instead of using a fixed rate for all. In the Senate, Otondo introduced an amendment to Ugenti-Rita’s bill to do that, but it failed in committee. Lets start a “Dump Ducey” campaign. He is a liberal in GOP clothing!!! !